Lithuanian Prime Minister-designate Saulius Skvernelis on Tuesday described Julius Pagojus, the Social Democrats' new candidate for the post of justice minister in his incoming Cabinet, as a young and energetic but sufficiently experienced politician. "I know the man from when he worked as deputy (justice) minister. What impresses me is that he a young man who has a good education and has a great deal of experience in working both in the public sector and in the field of non-governmental organizations, and who knows the corridors in Brussels, too," Skvernelis told reporters. "(He) is young and energetic, and I am glad that the Social Democratic Party is renewing itself this way and proposing people who I believe have a political future," he added. Pagojus was approved by the Social Democratic leadership as the party's candidate for justice minister on Monday evening and was to meet with President Dalia Grybauskaitė on Tuesday morning. Pagojus, who held the post of deputy justice minister in the outgoing government of Social Democratic Prime Minister Algirdas Butkevičius, said after the leadership's meeting on Monday that he felt sufficiently experienced to take the ministerial job. "I believe that my four years at the Justice Ministry have given me enough experience," he said. The 28-year-old Social Democrat would be the youngest minister in the new government. 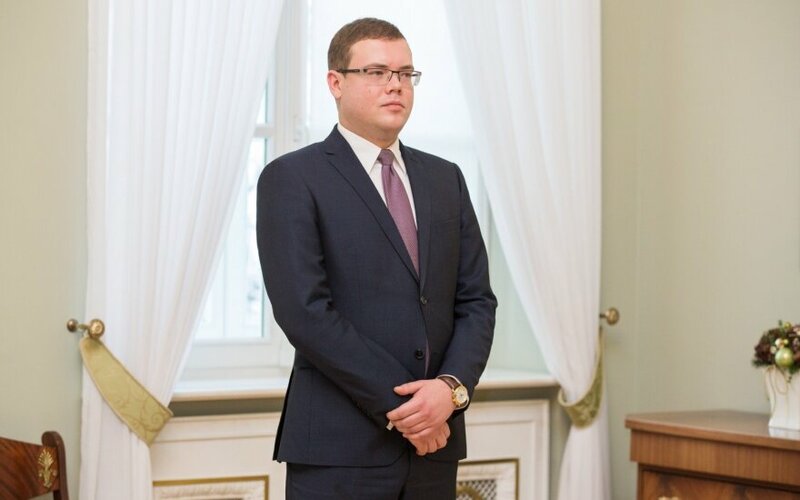 Pagojus holds a bachelor's degree in economics from Vilnius University and a master's degree in law from the same university. He worked as an adviser to Justice Minister Juozas Bernatonis between 2012 and 2014 and was appointed deputy justice minister in July 2014. Darius Petrošius, the Social Democrat's former candidate for justice minister, said in a statement on Monday morning that he was withdrawing his candidacy in order to protect his family and the incoming government "from slander".